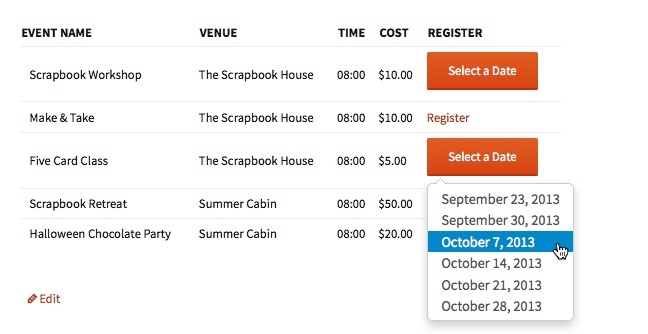 The Recurring Events Dropdown Template add-on presents your events in a table list format. Need to Buy a Support License for the Recurring Events Dropdown Template Add-on? Download the latest version of the Recurring Events Dropdown Template for Event Espresso 3 add-on from your Event Espresso account. The Recurring Events Dropdown Template add-on can be used by adding a shortcode to a WordPress page or post. This template add-on does not have any specific parameters that apply to it.